KYGO—the 22 year-old Norwegian prodigy and quite possibly the most hyped new artist of 2014—will be returning from his wildly successful debut tour of North America later this year for the European homecoming leg of his now iconic ‘Endless Summer Tour’. Having recently been revealed as Avicii’s replacement for this month’s TomorrowWorld festival in Atlanta, Georgia, the forthcoming European leg will see the young musician headline 14 dates across 12 European cities in November and December, including high profile shows in London, Paris, Amsterdam, Barcelona and a huge stadium show at Spektrum in his native Norway. 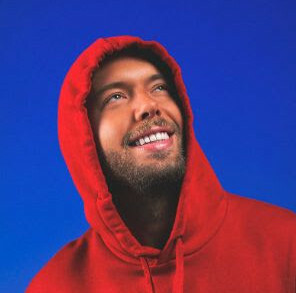 The pioneering ‘tropical house’ superstar will also be joined by fellow rising talents Thomas Jack, Amtrac and Anna Lunoe—all of whom will be providing support at various dates across the month long outing. 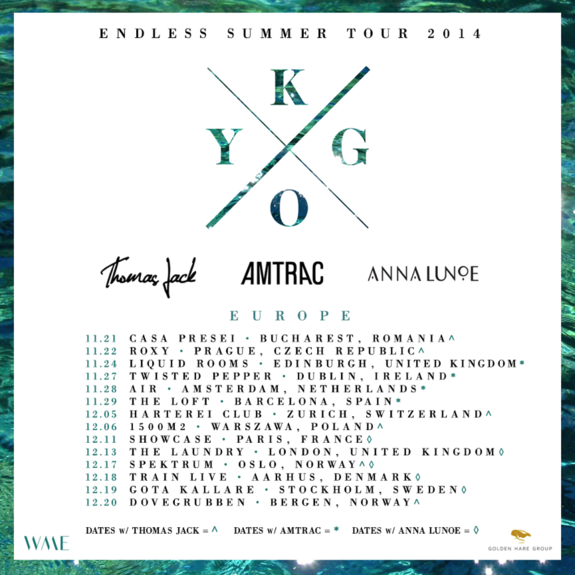 For full details and ticket information head to Kygo’s Official Facebook page here. 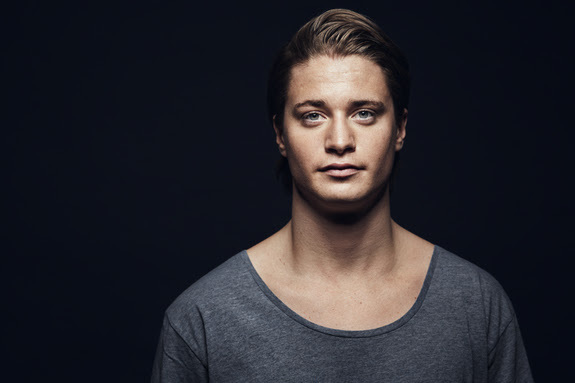 Having recently announced a global recording deal with Ultra/Sony Music, and with his first solo material expected towards the end of 2014, Kygo (real name Kyrre Gørvell-Dahll) sprung to international prominence over the course of this year following a series of high profile and hugely successful remixes for artists including Ed Sheeran, Ellie Goulding, Passenger, The Weeknd and Marvin Gaye. His remix of ‘I See Fire’ by Ed Sheeran has been played over 11 million times on SoundCloud making it one of the top ten most played tracks on the platform. It has also been played more than 40 million times on YouTube. The Kygo official channel on SoundCloud has had over 80 million plays. This summer he has been playing major European festivals such as Tomorrowland and Findings.